Are you feeling the ‘Luck of the Irish’? Well I hope so, because today is your ‘Lucky Day! Our Chickabug has designed an exclusive St. Patrick’s Day printable package just. for. YOU. 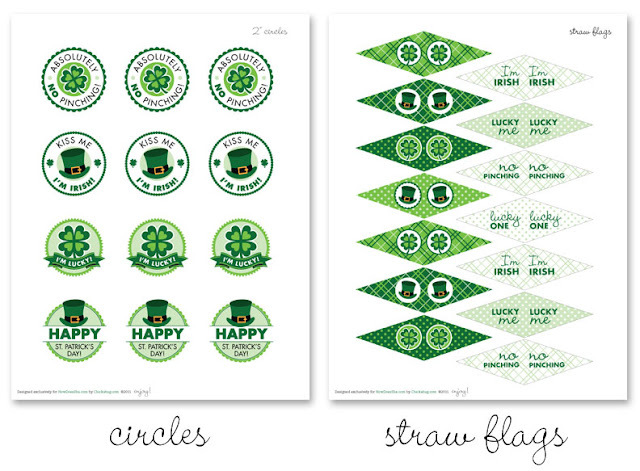 In addition to the St. Patrick’s Day printable circles Chickabug exclusively designed for us last year, she had added new water bottle labels, straw flags, and patterned paper. Aren’t these straw flags fun? I stuck them in an Irish dessert for a little party we had this last week. And of course, the original printable circles that can be used for soooo many different things. Make sure to put an ‘Absolutely No Pinching Badge’ on your kiddos before they head out the door! You wouldn’t want to be the one responsible for pinching marks! Ok. Personal Moment. Bare with me. My husband dreamed of getting his MBA from Notre Dame for a long time. This past Spring he was accepted to their prestigious graduate program. 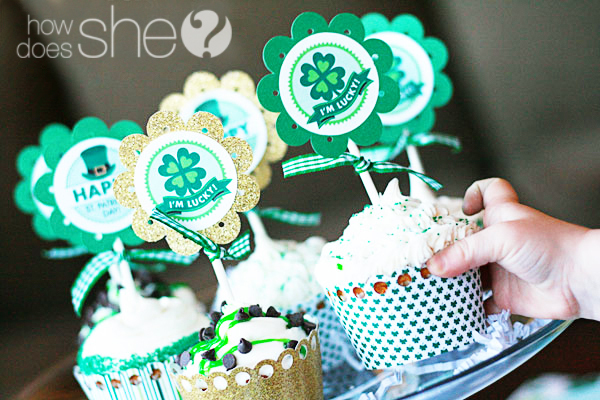 It was so fun to use this “tweaked” Irish set designed by chickabug, for a our little celebration. Flash forward one year. We are now “living the dream” and my husband will be graduating from Notre Dame this May. I feel another Irish Party coming on very very soon. Chickabug is not only a truly talented designer, but the sweetest person to work with. EVER. Make sure to use her for any of your parties. You won’t regret it. So where are your FREE exclusive HowDoesShe St. Patrick’s Day Printables? If you are already subscribed to our email list, they are in your inbox. Make sure to check your junk if you don’t see them! If you aren’t on our e-mail list yet, SHEESH, it’s about time you joined us! Simply sign up for our mailing list, and a link to ALL of our exclusive printables will be immediately sent to you. A special thanks to Chickabug for creating ALL of HowDoesShe’s exclusive printables. We love you. Can’t seem to find the free printables for St Patrick’s day water bottles? Christa, you need to subscribe to our email list. Once you have, they will automatically be sent to you. 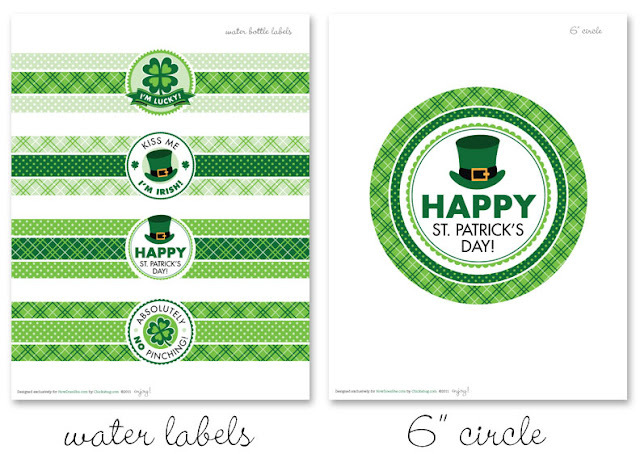 There are about 5 pages of printables so scroll though the whole st. patty’s day package to find the water bottle labels. 🙂 Let me know if you are still having problems. Enjoy!!! I am a subscriber and can not access the printables. Please help. Sorry you are having troubles. I just unsubsribed and resubscribed you. Just confirm and they should automatically be sent. 🙂 Enjoy! I seem to be having problems getting the downloads. I have registered 2 emails and I have not received the St. Patrick Day downloads. Am I missing something? Thanks! Hi I am having issues downloading this St. Patricks package. I have subscribed to the newsletter but still haven’t received an email with the link. Yay! Hip hooray!! Way to go! So excited for the news! Although I don’t want you to move I am SO excited for you! You are awesome Brad! Those printables turned out so fun…nice job chickabug. You did it again! Are the free printables only for new subscribers?? 🙁 I can’t find the link either but, I’m not new! Shelley, Congrats to you and Brad! A dream coming true for you two! Best wishes, you will be greatly missed! I’m not a new subscriber and received the printables email, however, when I click on the link and enter the password, all I see is the blog post and links to Chickabug. I can’t get to the actual printables. I can’t find them either. I just see the ones from last year or the iphone wallpaper. Where did you find your cute green gumdrops? Or are they candy? They’re cute, anyhow! They are gumballs! 🙂 I found them at TJ maxx. I love the straw flags. I am so excited about St. Patty’s Day now. They inspired us to have a big dinner. Love these ~ thank you! We have a St. Patricks party to attend next weekend. These will be perfect for the goodies I’m taking. I receive HowDoesShe newsletters all the time, but never the Free Printables emails…and I signed up a while ago. Tried to sign up today and got a message that I’m already signed up. How do I access printables. I just unsubscribed you and resubscribed you to our list. Just verify and make sure it isn’t go to your junk. As soon as you verify, the printables will automatically be sent. 🙂 Enjoy! I just unsubsribed and resubscribed you. Just confirm and they should automatically be sent. 🙂 Enjoy! 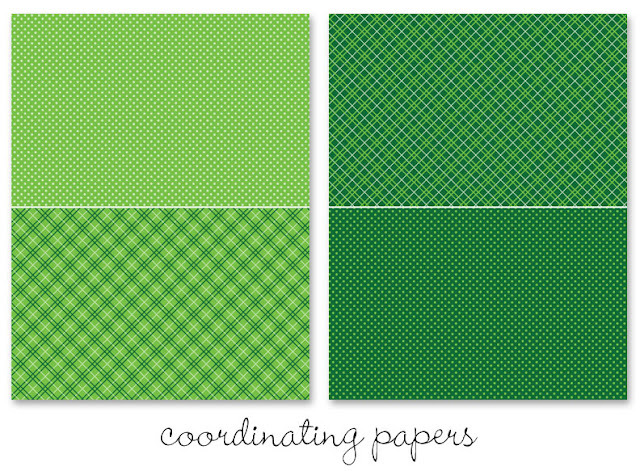 The St. Patty’s Day printables are so stinkin’ cute! but I am having the same trouble as some of the other ladies and I’m not getting the printables right now so can you please do your Unsubscribe/subscribe magic for me also? Thanks! What is the chocolatey minty drink you are showing here? Recipe? Trying to print the St. Patty’s Day Printables. Am I doing something wrong? Thanks so much for your help and amazing ideas! So appreciated! Love your site. But I can’t figure out how to access the free printables. I am on the mailing list and I do get the email with the password…….. “welcome” right? But it just takes me back to this page. Can you help me figure out how to do it? I am on the newsletter list already. I got the email and the password, but for some reason I can’t get them to work. Do you mind sending me the link again to print them? I so appreciate it! I would love to download and print the st.pats printables that were available but for some reason I haven’t received them in my email. I have checked and double checked. Would you please send me the file again. THANK YOU! Just looked through these and was thrilled to see the ND addition!! All 4 of the boys in my family are Notre Dame MBA or MNA grads and they would LOVE LOVE LOVE these! Is there any way I can get the ND printables? Good luck in the MBA program. We were there in ’03 and loved South Bend. There is nothing like being on the Notre Dame campus or being part of the Notre Dame family. GO IRISH!! Curious…is there a scallop circle punch for purchase that you used on the cupcake toppers? I saw one at Michael’s about two weeks ago that was a decent size. It was about $20. Good luck! Hi there, I’m a subscriber but didn’t receive these. Any chance I could get them again? How do i get the notre dame bottle covers??? Congrats on your husband’s acceptance to Notre Dame’s program! I am subscribed to your email list, but I didn’t get the free printables. I also checked in my junk mail and it isn’t there. I also am subscribed but don’t receive the e-mails anymore and sent an e-mail a while back to try to get this fixed and never heard anything. I really wanted to access the Halloween and Christmas banner chickabug made for us but couldn’t. Is there anyway you can help me get access to those old ones and help me get set up again to receive the new stuff! I have checked my junk and they are not there either. Love your site and all the fun stuff you do for us! Congrats for your hubby, Shelley, that’s quite an achievement! So sweet of you to prepare such a lovely custom party for him! Sorry but the Gremlins must be at work because I’m subscribed and the free printables are not there. I even did check my junk folder. I need to make a do not pinch badge for my granddaughter. So sorry to be a bother, but the printable wasn’t emailed to me. Been a subscirber for a while. Thanks for the help! I must not be seeing the freebie link anywhere in my email as mentioned here….. i am on your newsletter but still dont see it. please help!!! these are too cute. I get your newsletter, have the password and can’t find the link to download the printables??? I am having the same problem too – I have been looking around for 30 minutes – have the email and the password, but only get to the blog post… Please help?? Sorry to post the same issue again. If you are a subscriber you should be getting them in your inbox. If not, feel free to enter your email in the FOLLOW US box on box in the right column. 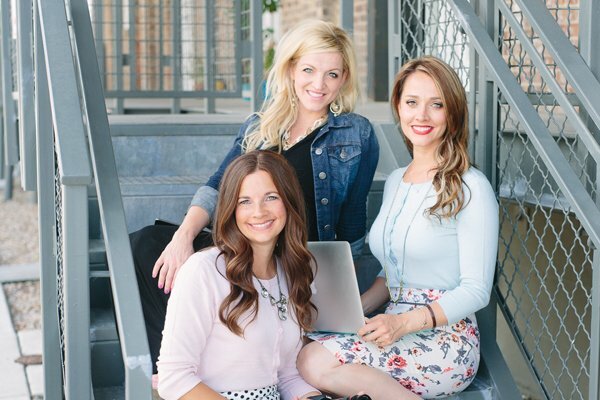 After your confirmation email, you will have access to ALL the FREE printables chickabug has made exclusively for HowDoesShe readers. If you are subscribed and didn’t get them in this week’s newsletter, please email me at caley @ howdoesshe.com for help. Thanks! Ha! I love the “No Pinching” straw flag! Thanks for sharing at oopsey daisy! Enter your email in the black box at the end of your post to become a howdoesshe gal. Once you have confirmed the email, the printables should be sent to you! Enjoy! I’ve been receiving your postings for a long time and have always been able to get the freebies – but not with these. I’ll do what you suggested but will probably be told I’m already a subscriber. I’m already a subscriber to your newsletter and everytime you post something free and say to look in your in box, all I find is the email with the link to the post, but no freebie, not even in my junk mail. Am I missing something? I’m a subscriber-can’t get these printables like the other people who commented! So adorable! Thanks for offering these! I am a subscriber, but unfortunately I must have missed when they came in my email-boo! Can you help me access them? Thanks! I love these projects. I hope you will stop by and link up to my St. Patty’s Day Project Parade. What cute printables! I am totally in love with those Notre Dame ones, I sent them to my sister for her big ND tailgates this fall! I featured your printables on my blog! Stop by and say hello! Hi, I would love to have the printables but cannot find them any where on my e-mail. I am a subscriber already. Please help, thank you. Thank you for the free print-outs. Our St Patricks Day will be a little more festive thanks to your generousity. Much Appreciated. Thank you so much for these absolutely too cute for words printables! They will be a hit at our St. Paddy’s Day party for sure! I get your newsletter but can’t get the link to these printables to work…they are too cute! I have the email with the password and I enter it and come to the same page over and over and can’t see where to download. thanks. http://www.howdoesshe.com/she-saved -Type in the password and then click on whatever printable you wish to download. 🙂 DId that help? Thank so much for the free St Patrick printables.I downloaded all of them. I use the St Patrick cupcake topper to decorate the cupcake I made for the children of the afternoon program.I volunteer at our church every Thursday night.We help with homework,Art, Science, Cooking, Sewing and games. Thirty children were so excited!Vanilla rainbow cupcake with cream cheese frosting. I tinted the frosting with green coloring and sprinkles with Shamrock/green sprinkles. I bake them in gold cupcake cups and put the adorable cake topper on top. The children and staff use words like Delicious/Yummy and the Best cupcake ever!.I put a photo on the final product on your website on Facebook.Thanks again for the free printables! I actually just found them! I thought you meant at the end of the post. I found them at the bottom of the email! Thank you! Ok I am a dork. I just read some comments and found them at the bottom of my email. Thank you!! Hi Nina, make sure you subscribe (no charge for this) to our newsletters for all the fun free printables! If you’re already a subscriber and can’t find the password in your emails, please email me at [email protected] and I’ll be sure to help you out! Thanks! I followed the link to these printables from your most recent St. Patty’s Day in a jar post. I am already a subscriber, but I can’t figure out how to download these printables. Will you please send a link? Thanks! Hi Ashley, check your email soon, I’ll send you instructions. Thank you! I cannot find how to print the water bottle labels for St. Patricks Day. I am a subscriber but I still cannot get any of the free printables to come up for print. Can you guide me as to what I can do, since I was hoping to have them printed out as soon as possible. Thanks! Sally, watch for an email coming from me, I’ll see if I can help! Thank you! Does this still work? I would love to get the water bottle printables but it wont let me subscribe. Natalie, check your email soon, I’ll see how I can help! Thanks! where do i find how to get the free printables? Simply subscribe on the website with your email address and you’ll receive a welcome email with the password and links to the free printables. If you still can’t get it to work email [email protected] and she’ll be happy to help you! Thanks! Hi, I cannot get the free printables no matterr what I do. I am signed up to your newsletters otherwise I wouldn’t know about your offers? Hi! I just emailed you more info. Thanks so much! I am a subscriber but dont see how to get the free st patricks day printables??? Hi Heather, I just sent more info to your email. Thanks for your support! I just signed up for your newsletter and I confirmed my subscription. How long does it generally take to receive the link for the free printables? I’d like to use them for an upcoming office party. Hi! Check your email. I just sent you more info. Thanks! Hi, are you still emailing these? I got your inital email to confirm my subscription and waited a half hour, but never got the printables or any log in info. I also don’t have anything in my junk folder. I needed to print these today. Thank you for your time. Thank you, but never mind. I found an alternative. I have been subscribed for quite some time. But how do I go about downloading the printables?